What is the cheapest way to get from Abu Dhabi to St. Joseph's Cathedral? The cheapest way to get from Abu Dhabi to St. Joseph's Cathedral is to line 044 bus which costs AED 1 and takes 13m. What is the fastest way to get from Abu Dhabi to St. Joseph's Cathedral? The quickest way to get from Abu Dhabi to St. Joseph's Cathedral is to taxi which costs AED 12 - AED 15 and takes 4m. Is there a direct bus between Abu Dhabi and St. Joseph's Cathedral? Yes, there is a direct bus departing from Abu Dhabi - SKMC and arriving at Abu Dhabi - 17th Street. Services depart every 30 minutes, and operate every day. The journey takes approximately 9m. How far is it from Abu Dhabi to St. Joseph's Cathedral? The distance between Abu Dhabi and St. Joseph's Cathedral is 3 km. How do I travel from Abu Dhabi to St. Joseph's Cathedral without a car? The best way to get from Abu Dhabi to St. Joseph's Cathedral without a car is to line 044 bus which takes 13m and costs AED 1. How long does it take to get from Abu Dhabi to St. Joseph's Cathedral? The line 044 bus from Abu Dhabi - SKMC to Abu Dhabi - 17th Street takes 9m including transfers and departs every 30 minutes. Where do I catch the Abu Dhabi to St. Joseph's Cathedral bus from? 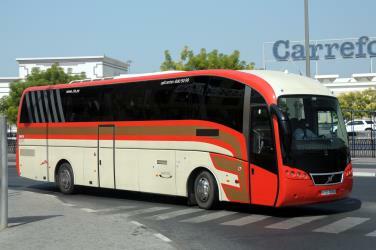 Abu Dhabi to St. Joseph's Cathedral bus services, operated by Dubai RTA Bus, depart from Abu Dhabi - SKMC station. 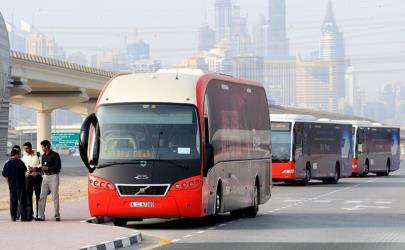 Where does the Abu Dhabi to St. Joseph's Cathedral bus arrive? 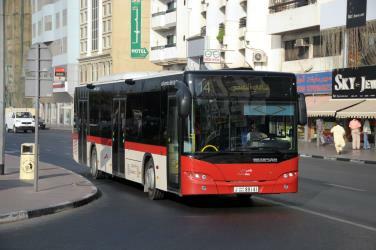 Abu Dhabi to St. Joseph's Cathedral bus services, operated by Dubai RTA Bus, arrive at Abu Dhabi - 17th Street station. Where can I stay near St. Joseph's Cathedral? There are 142+ hotels available in St. Joseph's Cathedral. Prices start at AED 169 per night. What companies run services between Abu Dhabi, United Arab Emirates and St. Joseph's Cathedral, United Arab Emirates? Dubai RTA Bus operates a bus from Abu Dhabi to St. Joseph's Cathedral every 30 minutes. Tickets cost AED 1 and the journey takes 9m. Rome2rio's Travel Guide series provide vital information for the global traveller. Read our range of informative guides on popular transport routes and companies - including Need to know: Jadrolinija, How to get from JFK to New York City and Italy Travel Guides - to help you get the most out of your next trip. Souks, skyscrapers and desert safaris are what comes to mind when thinking of this uber-modern Middle Eastern city. Start your day with a strong cup of gahwa (Arabic coffee) before taking in the architectural brilliance of the Sheikh Zayed Grand Mosque and delving into history at the Heritage Village. Shop til you drop at Souk Qaryat Al Beri, unleash your inner Picasso at the Louvre Abu Dhabi or explore the breathtaking desert landscape on an off-road safari. Take a day trip to nearby Yas Island, home to Ferrari World and Yas Waterworld theme park, or explore the nearby ‘Garden City’ of Al-Ain, a UNESCO World Heritage site. The Guggenheim Abu Dhabi is a planned museum, to be located in Abu Dhabi, UAE. On July 8, 2006, the city of Abu Dhabi, capital of the United Arab Emirates, announced it had signed an agreement with the Solomon R. Guggenheim Foundation in New York City to build a 30000 m2 Guggenheim Museum on Saadiyat Island. Upon completion, it is planned to be the largest of the Guggenheim museums. Architect Frank Gehry is designing the building. Work on the site began in 2011 but was soon suspended. As of 2017, no completion date is available. The museum collection is planned to reflect Islamic and middle-eastern culture. Rome2rio makes travelling from Abu Dhabi to St. Joseph's Cathedral easy. Rome2rio is a door-to-door travel information and booking engine, helping you get to and from any location in the world. Find all the transport options for your trip from Abu Dhabi to St. Joseph's Cathedral right here. Rome2rio displays up to date schedules, route maps, journey times and estimated fares from relevant transport operators, ensuring you can make an informed decision about which option will suit you best. Rome2rio also offers online bookings for selected operators, making reservations easy and straightforward.